© Michael Althaus. All rights reserved. 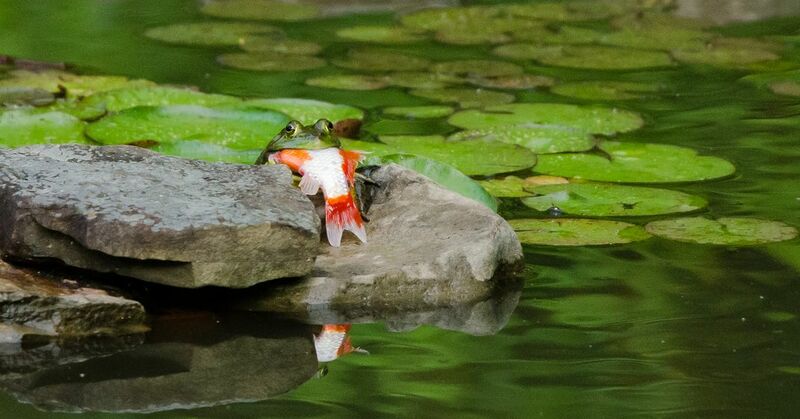 Bullfrog eats goldfish in our back yard pond. The fish was part way down when I first saw him - after 50 minutes there was still a little tail sticking out of his mouth. Date Uploaded: Aug. 19, 2017, 7:34 a.m.